Leah refused to renounce her faith. She paid the price with her freedom. She was one of 110 girls abducted from their school in Dapchi, Nigeria by Boko Haram in February 2018. The next month, following negotiations by the government, the girls were put into vehicles to go home. However, Leah wasn’t among them. In a moment of extraordinary courage, she refused to convert in exchange for her freedom. What was 200 Hours for 200 Days? Leah is still, after five months in captivity, refusing to renounce her faith. 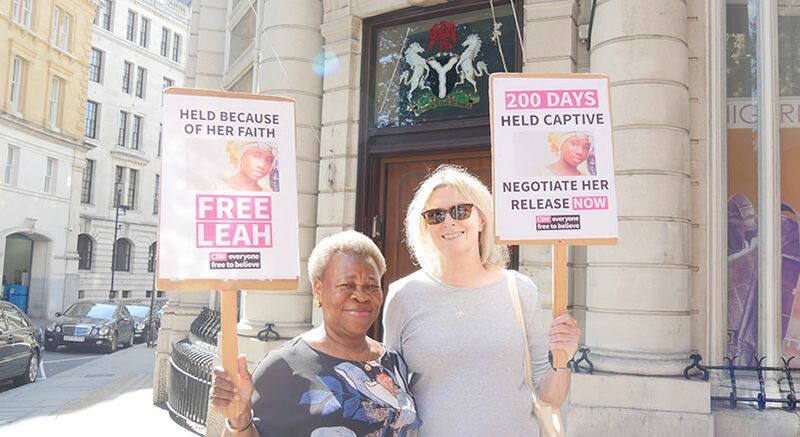 200 Hours for 200 Days was a prophetic protest, inspired by Leah’s perseverance. We want to bring home to people just how long Leah has been held captive. And urge the Nigerian government to negotiate her release, as they did for the rest of her classmates. 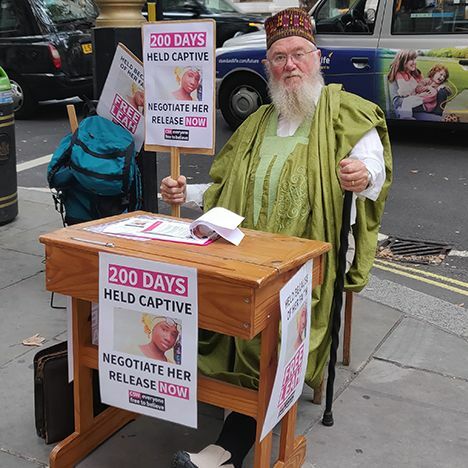 Between 9am on 4 September and 5pm on 12 September, we stood at this solitary school desk in front of the Nigerian High Commission in London. Leah should be with her classmates right now, but instead she was snatched from her school and is being denied her faith and her future. Stand in prayer. Stand in protest. Stand in silent meditation. Stand and shout for justice for Leah. 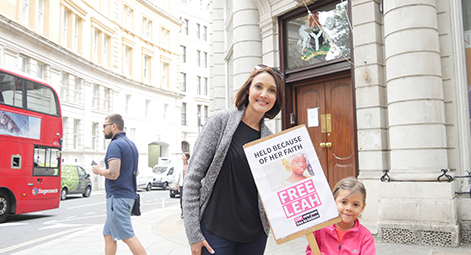 Share your stand and help raise voices to speak out for Leah. Leah Sharibu is just 15, she’s been a prisoner of Boko Haram for six months: all because she refuses to convert in exchange for her freedom.